One of the unquestioned premises of the church growth movement is that when something matters to us, we measure it. 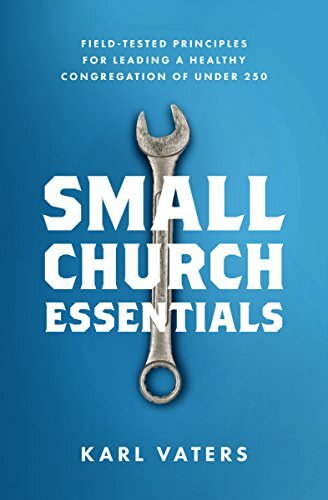 So we count things like church attendance in an attempt to measure a church’s health, strength and impact. The idea of counting the things that matter makes sense – if you’re an accountant or a manager. But it wouldn’t be accepted by one artist or prophet. Here’s why. How do we measure art? By audience? If so, Gangnam Style, with 2.67 billion YouTube views is the greatest video of all time. Sales? That makes Thomas Kinkaid a greater painter than Gaugin, Matisse and Renoir combined. Price? Then a ticket for a Katy Perry concert is more valuable than having been on the street in London when the Beatles threw their impromptu final (and free) concert on the rooftop of Apple studios. Size? So tiny Mona Lisa is of less artistic merit than the banners made by a high school pep team? We need to measure what we can manage – money, facilities, schedules and the like. That’s good stewardship. But let’s not fall into the trap of thinking we have more control than we do. The most important things in life – art, beauty, love and salvation – are immeasurable. Plus, did Jesus use any term that even comes close to the word “metrics”? Yes, I know Jesus told parables about turning small numbers into larger numbers. I’m also aware that he debriefed the disciples after sending them out two-by-two. And of course Jesus ministered to some large crowds. And someone counted those crowds. That all involves metrics. Jesus told us that our ideas about what’s important to measure are often wrong – like counting only the men. According to him, the humble will be exalted, the weak will be strong, the widow’s mite is the biggest offering of all, and women and children count, even to people who don’t count them. So let’s count what can be counted, manage what we can manage and measure what needs to be measured. That gives us a baseline of competence upon which great things can be built. But let’s not be deluded into believing that our measuring gives us the ability to move anything that matters. If we measure what we manage, may God give us the joy of an unmanageable, uncontrollable outbreak of joy, ministry, salvation and wonder.